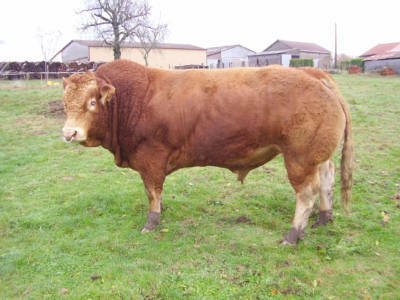 The Limousin cattle breed is the leading beef breed in Britain and possibly the most expanding cattle breed in Europe. The Limousin breed first came into Britain in 1971 when the dairy herd was producing sixty percent of the nations beef. It was introduced for its potential as a crossing sire over dairy cows with the added potential in the suckler beef herd. They are a hardy outdoor breed of cattle and produces fine-grained beef that is early maturing making a profitable beef enterprise. It’s ability to produce significant profit margin dictates its commercial viability. Limousins are popular for crossbreeding with Aberdeen Angus, Hereford and Shorthorn due to their contribution to hybrid vigour, and improvements to yield and feed conversion efficiency of these British cattle breeds, which produce higher levels of fat and marbled meat.